There have been some incredible financial minds in America. But, who is the best? Who has contributed more than any others? Who are the greatest investors, financial thinkers, and money managers of all time? In case you missed it, I gave you # 10 through # 6 last week. Be sure to check it out. 4. Philip Fisher – Philip Fisher is considered a pioneer in the field of growth investing. Philip Fisher wrote the first investment book ever to make The New York Times bestseller list, ‘Common Stocks and Uncommon Profits“. The book laid out senior Fisher’s 15-point strategy for finding great long-term growth stocks. Fisher’s 15-point approach attempts to determine whether a company can continue to grow revenue for several years, maintain strong profit margins, and has a high-quality management. Fisher’s methods were so unique and convincing for that period of time that Warren Buffett incorporated a good deal of Fisher’s methods into his own stock selection process. Warren Buffett has said on different occasions that “he is 85% Graham and 15% Fisher”. 2. T. Rowe Price – Thomas Rowe Price, Jr. founded the investment firm that bears his name in 1937. Price is often credited with popularizing the growth style of investing. 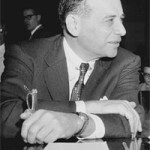 His growth oriented investing philosophy helped push aside Benjamin Graham’s famous value approach that was popular at that time. Both investing styles remain popular today with investors and money managers alike. Price believed that investors should buy growth stocks and then hold them for a long period of time. After a company reaches maturity in its business cycle, an investor’s opportunity to earn a decent return on his money decreases and risk increases. 1. Warren Buffett – The oracle of Omaha almost needs no introduction. If you follow financial news or investing stories or have even been living under a rock in America, you have most likely heard of Buffett. He is the Chairman and Chief Executive Officer of Berkshire Hathaway. 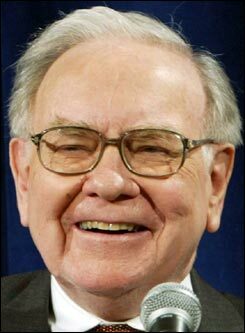 In 2008, Buffet was ranked by Forbes as the richest person in the world with an estimated net worth of approximately $62 billion. In 2009, after donating billions of dollars to charity, Buffett was ranked as the second richest man in the United States with a net worth of $40 billion. Buffett is noted for his adherence to the value investing philosophy and for his personal frugality despite his immense wealth. 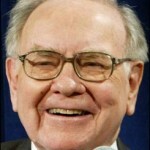 Buffett is also a notable philanthropist, having pledged to give away 85 percent of his fortune to the Gates Foundation. In 1999, Buffett was named the top money manager of the twentieth century in a survey by the Carson Group, ahead of Peter Lynch and John Templeton. In 2007, he was listed among Time’s 100 Most Influential People in the world. What do you think? Who did I miss? Who should have been on this list? 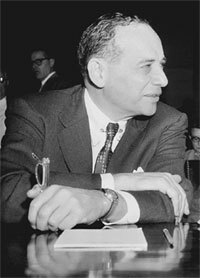 I would say its Benjamin Graham. Doing things as fundamental is trial and error but as a person who does it first is great,The other are just follower of the principle or upgrading the same thing and make it new. This is a great article! Thanks for sharing the five greatest investors! Prince al waleed bin talal should be in this list.